I was born in 1980. When I was three years old, my parents enrolled me in the Suzuki program at SIU Edwardsville. I studied violin with Vera McCoy, John Kendall, Holly Smardo, and other great Suzuki teachers! After graduating from the SIUE Suzuki program, I went on to study with members of the St. Louis Symphony and perform with the St. Louis Symphony Youth Orchestra. 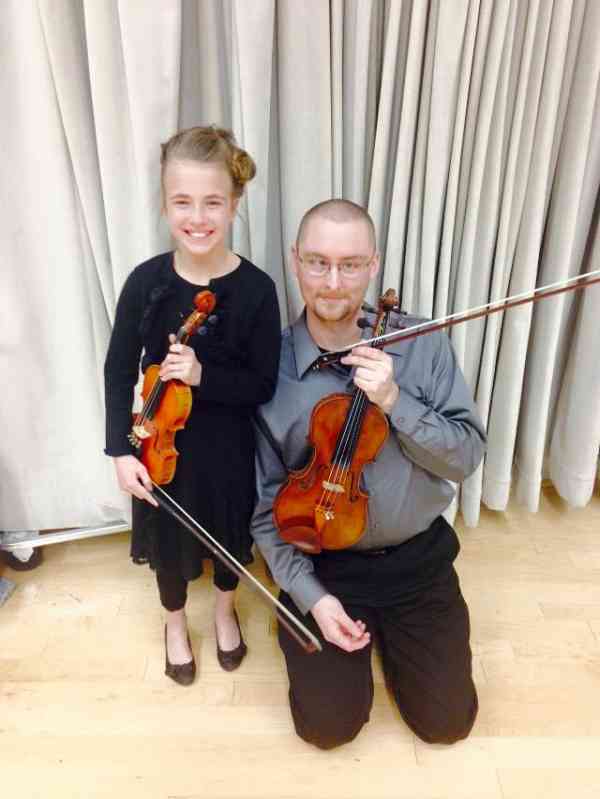 Since then I’ve been making a living playing and teaching the violin, performing with the Illinois Symphony, Quad City Symphony, and Fort Wayne Philharmonic orchestras, as well as the Muny Orchestra in Forest Park, MO. I have 20+ continuous years of private teaching experience, and I have completed Every Child Can and Suzuki Book 1 teacher training with Vera McCoy at SIUE. I recently (February 2019) moved to the Atlanta area, and I would like to start building a new violin studio. Please feel free to get in touch with me for more info or if you have any questions.